I microwave, covered, according to directions. Marinade Chicken. Cook in skillet. Cut up, add back to pan with juices, cook down. Microwave rice. Top all onto shells. Roll. Butter Flavor Cooking Spray skillet and all sides of Burritos. Brown each side. Sprinkle with Garlic Powder OR Garlic Salt. Serve with More Salsa and Sour Cream. Delicious. Has a tasty spiciness. Just throw it into the pot, and call it a day! Add all to crock pot. Cook on low for about 6 hours. NOTE: Corn Tortilla Shell, NOT HARD SHELL! Our NUMBER 1 Go To Recipe for Homemade Taco Seasoning. A perfect spice and flavor! 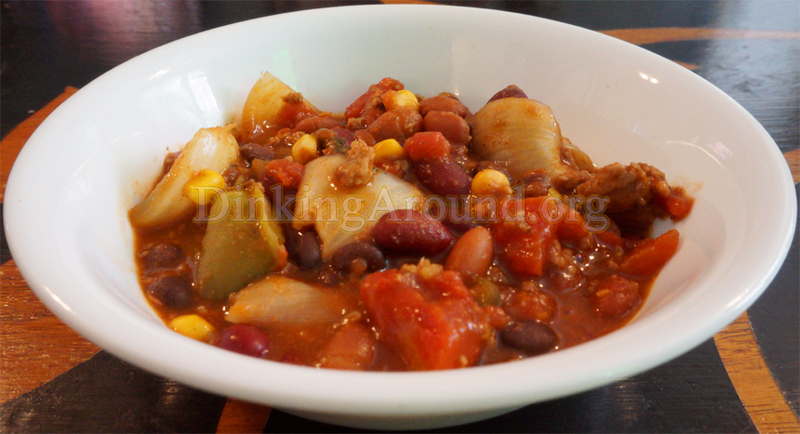 Use for your favorite Taco Dish, including your Taco Chili! On Tacos! In Salads or Dishes! You’ll never buy packaged season again! Pre-mix Seasoning. (I use Chicken Broth for Chicken Tacos. And, Beef for Beef Tacos.) Cook Meat, adding in Season. (I also mix in about 1/4c Refried Beans.). Simmer and stir til juices cook down and flavors blend nicely. At End, I splash with Lime Juice (Small splash. Maybe 1tsp, if I had to guess). Quite TAYsty! Try above Recipe AS IS. Most online recipes call for 1tsp of Salt. This is LESS Sodium than those. Even less than some packaged Seasonings! But, if you “Insist” and are trying to cut Salt, try skipping the Broth Cube and just using Sea Salt. Preheat Oven. In ziploc bag, toss Sweet Potato Fries with Oil. (Reserve about 1/2tsp Fry Season for Post-Cooking Seasoning.). Sprinkle in half the Fry Season, toss. Sprinkle rest, toss. Dump onto Butter Flavor Cooking Sprayed Baking Dish. Bake 450 for 20-30 minutes. In skillet, cook Turkey Meat and Chorizo. Add in Chili Beans, Taco Season, and Water. Simmer a few minutes, or til cooked down. Top Fries with Toppings of Choice. Optional: Use Refried Beans or Favorite Chili (Or Both) in place of Chili Pinto Beans (That’s a Boat Load!). Tater Tots, Fries, etc. in place of Sweet Potatoes (They have Store Bought Sweet Potato Fries/Tots, some already seasoned!). They have fun making them. You get the free time of making them! Win, win! I’ve, ALSO, noticed that the picky eaters ACTUALLY EAT IT, and MORE, when they MAKE THEM, THEMSELVES!!! Butter Flavor Cooking Spray Skillet. Cook Onions and Red Pepper for a few minutes. Add in Corn, Beans, Tomatoes, Jalapeno, Black Pepper, Cajun. Cook down some, then add in Taco Season. Simmer for a while. Mix in cheese. Continue to simmer til nice and thick. Spoon onto Egg Roll Wraps. Roll up, using water to seal edges. Heat skillet with Coconut Oil (Or Butter Flavor Cooking Spray – Coconut Oil tastes BEST!!!). Brown all side. Eat alone, or with Sour Cream. Under 150 Calories if using Butter Flavor Cooking Spray to brown Egg Rolls. About 160 if using a few Tablespoons of Coconut Oil. 1 lb. Ground Turkey, browned and seasoned with a dash Pepper and Garlic Powder. Preheat oven according to biscuits. In a rectangle pan, spread out biscuits, flattening and connecting all. Spread on layer of Cream Cheese and Sour Cream mixture. Top with Meat and Bean mixture. Top with shredded lettuce. Fresh cut tomatoes. Mozzarella. Bake accordingly. Then top with Frito chips. CLICK HERE to Check Out What We Have to Offer on FACEBOOK. Then LIKE Us! 1 lb Ground Turkey, cooked, drained. Seasoned with 1/4tsp Chili powder, few shakes of: Pepper, Garlic Powder, Onion Powder. Butter Flavor Cooking Spray crock. Add all. Cook on low about 4-5hours. Serve with Frito Chips and tablespoon of sour cream. Check out our other Chili Recipes: Tay’s Easy Chillin Chili, The Cheesy Chillin Chicken (White Cheesy Chicken Chili), The Scared White Chicken (White Chicken Chili), BBQ Chili, Chickity China the Chinese Chili (Chinese Chili), Jack O Lantern Chili (Pumpkin Chili) Simply, use the search bar to Search: Chili. Cook Meat with Taco Pkt. and Taco Sauce. Add all to Salad Bowl. Mix. 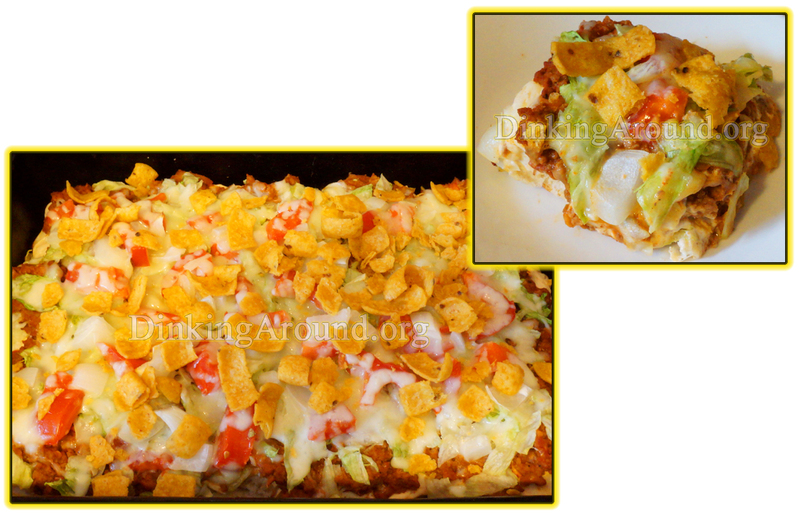 Serve with Croutons, Tortilla Strips, and Dressing of Choice.